Canada/Ottawa: Loblaws Companies Ltd., a Brampton, Ontario establishment, recalls an estimated 2,000 Joe Fresh branded Baby Girls’ Running Shoes due to suspected component detachment and consequential risk of choking, oral injury, internal ingestion and GI tract laceration damage, all serious health and safety hazards. 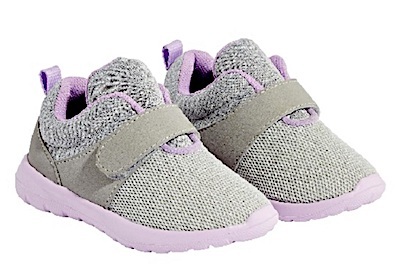 Health Canada/Santé Canada (“HCSC”) reports this recall involves certain Joe Fresh branded Baby Girls’ Running Shoes, sold with a light purple sole and lining. 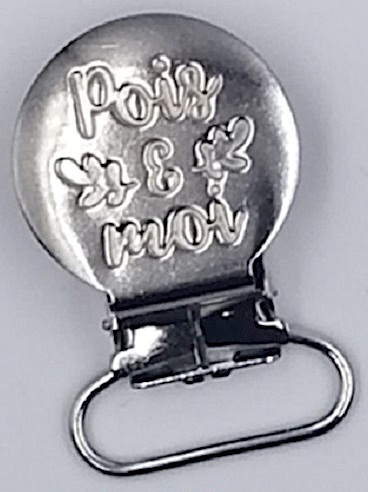 Canada/Ottawa: Pois et Moi, a Quebec establishment, recalls an estimated 500 Pois et Moi branded Baby Pacifier Clips, due to suspected component detachment and consequential risk of choking, oral injury, internal ingestion and GI tract laceration damage, all serious health and safety hazards. Health Canada/Santé Canada (“HCSC”) reports this recall involves some Pois et Moi branded Baby Pacifier Clips, purchased between September 1, 2017 and December 31, 2017. Canada/Ottawa: CLS Sales Inc., a Toronto, Ontario establishment, recalls an estimated 2025 certain CLS Sales Inc. Happy Running branded Colorful Fish and Happy Running branded Little Animal Toys due to suspected component detachment and consequential risk of choking, oral injury, internal ingestion and GI tract laceration damage, all serious health and safety hazards. 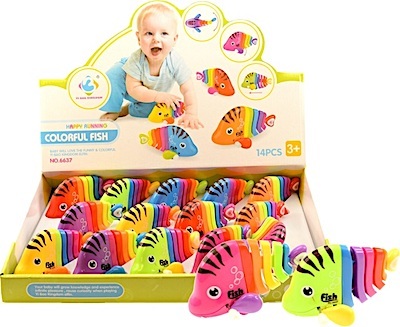 Health Canada/Santé Canada (“HCSC”) reports this recall involves certain Happy Running branded Colorful Fish and Happy Running branded Little Animal Children’s Toys. Canada/Ottawa: Brin de Folie, a Quebec City, Quebec establishment, recalls certain Wind-up Racoon Toys due to suspected component detachment and consequential risk of choking, oral injury, internal ingestion and GI tract laceration damage, all serious health and safety hazards. 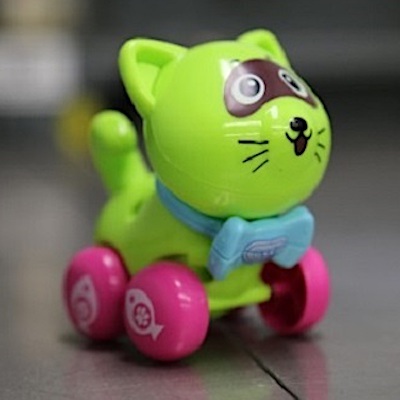 Health Canada/Santé Canada (“HCSC”) reports this recall involves certain Wind-up Toy Racoon Toys with plastic wheels, available in two (2) colours: yellow and green.